Neither of them wanted to find love when they moved to St. Raphael – Fate & his Nonna had other plans. Mirella walked away from what was left of her life in Los Angeles. A cheating lover had thrown both her job and her heart under Hollywood’s bus, turning her hopes of a long and successful career into smudge on Sunset Blvd. She found a new start in St. Raphael, with a house and friends that began to soothe her aching heart. After a year of hard work, everything is finally running smoothly. Then out of the blue, her match-making neighbor sends her gorgeous grandson over to borrow some garlic, no simple sugar in this town. None of her promises to put her heart on the shelf are going to save her from the way he turns her life upside down. Teodoro built a successful business with his brother in L.A. but when his grandmother’s health took a downturn, he knew he had to move to St. Raphael to take of his Nonna. She has other plans, like making sure she would have some great-grandbabies to spoil. Mirella is the perfect candidate & before Teo knows it’s happening, he finds himself falling for a woman whose heart has been scarred and stomped on. He knows that he is the right man to heal her heart. 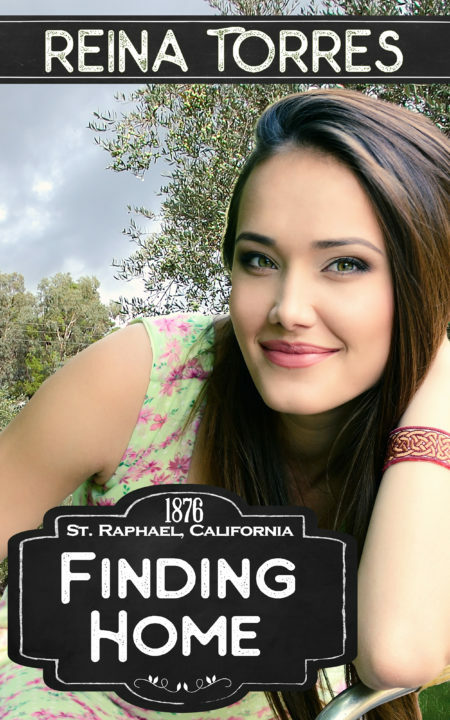 When her past shows up, threatening their relationship, instead of putting a wedge between them, they discover that coming to St. Raphael was more than just a change of locale, they were Finding Home. She swore off ‘True Love’ – He wants ‘Happy Ever After’ – How could this end badly? If Finley Thomas had big dreams, it was because of the support of her best friend, Jackson. 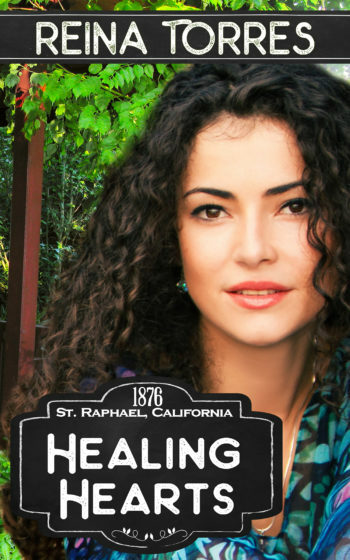 She left her hometown behind to follow her dreams, but when she returns to St. Raphael years later, all she wants to do is piece together her broken heart. The first person to seek her out is the only one who ever made her feel safe and understood. The surprise is the emotional rush of coming face to face with her old best friend, and the scorching fire created by his touch. There isn’t anything that Fire Captain, Jackson Caffrey can’t handle. When he isn’t out saving lives and fighting fires, he’s single-handedly raising his son, Carter, and making scores of single women in town swoon over his amazing body. Jackson is completely oblivious to all the attention, but one look at Finley, his childhood best friend who’s all grown up, suddenly he wants to start a fire. He wants to fan the warm embers of their friendship into the enduring flames of a life-long love and soul-deep passion. When Finley tells him that she’s given up on love and done with men in general, Jackson sets out to prove that he’s not only the man she was meant to be with, he’s a firefighter who knows how to heal her heart and soul Playing With Fire. She’s thrown herself into her work for years – He’s buried himself in his – What happens when they both decide to take a big breath of life? Jordan Schultz has managed everything for years. She’s managed her boss, his heavy work schedule as the head of the DeLuca family wineries. In her private life, she’s raised her daughter alone after her husband left her for a newer model, making sure that Ava had every advantage possible even when she was driving her daughter crazy. Putting everyone else in front of her own needs, Jordan forgot how to breathe. Now Ava’s in college, her boss is settled and a happy family man, all she has to do is live… her own life. She’s just not sure how to do that. When Vance Donovan’s friend convinced him to send his book to an agent, he had no idea it would sell. Meeting Gabe years later at a book signing, his old friend introduces Vance to his assistant Jordan. That meeting led to hundreds of hours of phone calls and video chats, giving Vance a glimpse of something outside of his isolated life in New York. When he needed a change of pace to finish his latest book, what better place was there than the small-town heart of St. Helena, CA, Jordan’s home town? If he thought the chemistry between them on the phone was incredible, having her close enough to touch made him feel more alive than he’d been in years and it showed in his work. When it’s time for him to go back to New York and leave Jordan behind, will he be able to walk away and go back to his single, isolated lifestyle? Or will they both decide that what they feel for each other is worth taking another chance?